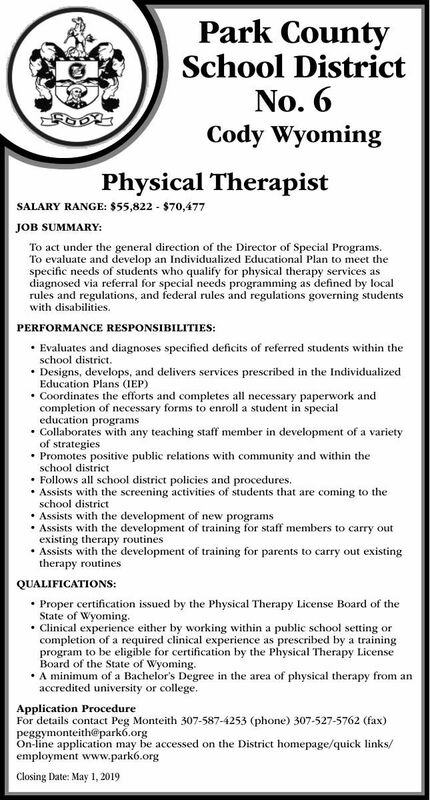 To act under the general direction of the Director of Special Programs. • Follows all school district policies and procedures. Board of the State of Wyoming.